Size: 28 x 145 mm x various lengths from stock. Few additions to the home or garden can match a timber deck for usefulness, natural beauty and sheer enjoyment. Decks offer an outdoor living space for dining, entertaining or simply relaxing. Our Deck Boards are grooved on one face only. 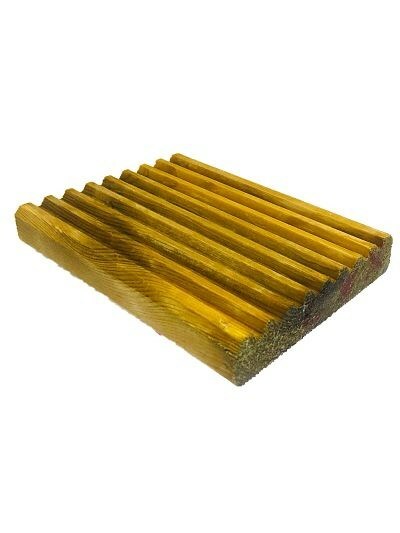 Pressure treated redwood decking board. Produced from Scandinavian Redwood which is a quality softwood and is responsibly sourced (FSC & PEFC).